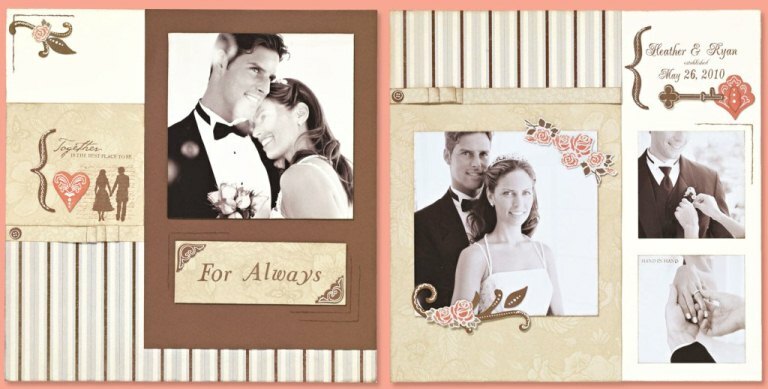 Using black and white (or sepia) photos in your scrapbooks can create a stunning effect. Generally it is best to compliment them with neutral papers (browns, greys, creams), with at most a single accent color. 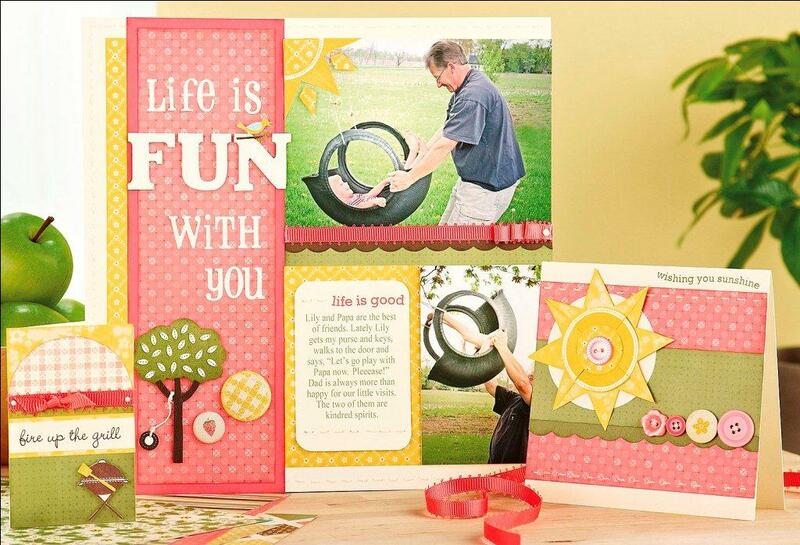 Get a sneak peak of the new Spring line from Close to My Heart when you browse the Inspirations Mini-Catalog. Just for the month of January, get special pricing on the Stamp of the Month and all of the stamp sets in the mini-catalog when you purchase the Wings Workshop on the go. 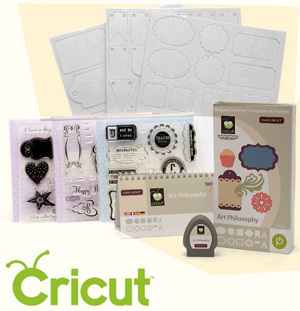 Save big during January when you buy this month’s Workshops on the Go™ kit! If you didn’t know, Scrapedia is produced in the Portland area. One of our favorite sites is Groupon which gives deals based on a group purchase of the deal. 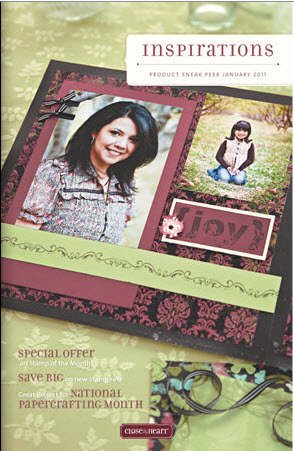 Today’s deal was $35 for $100 on a photo book, cards, or calenders from Picaboo. The deal is found in the Portland, OR deals on left side of the page. I thought it was a good price and thought I could share it. 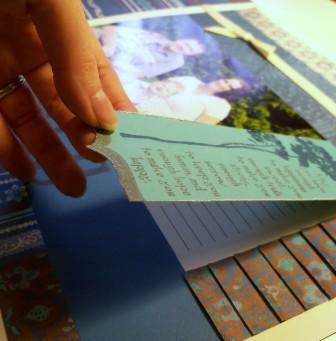 Although it is just short of scrapbooking at least it will help you retain your memories. Hope you enjoy it. P.S. Creating a new account will give me a small referral fee. It would be much appreciated. Thanks! Add a festive touch to your Thanksgiving table with homemade napkin rings & place card holders created from ordinary scrapbooking paper. 1.) 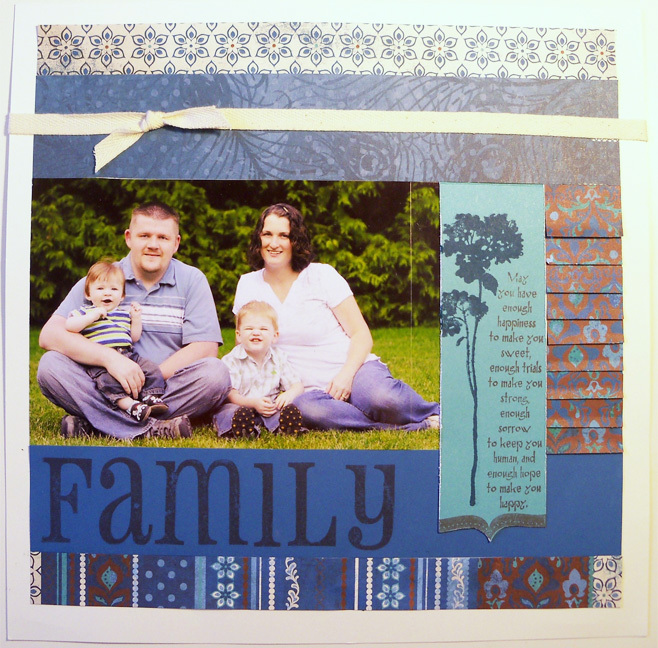 Wrap & adhere 1″ x 6″ piece of cardstock into a band, overlapping the edges by about 1/4″. 2.) Wrap & adhere /2″ x 6″ piece of patterned paper over the cardstock band. 3.) Stamp image on emblem cardstock. 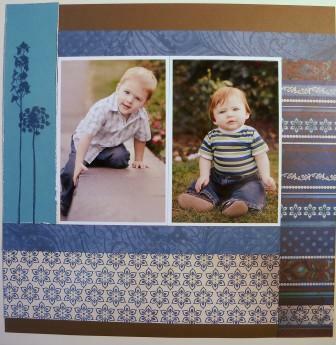 If using square design, round two opposite corners on both pieces of cardstock. 4.) Adhere emblem onto mat. 5.) 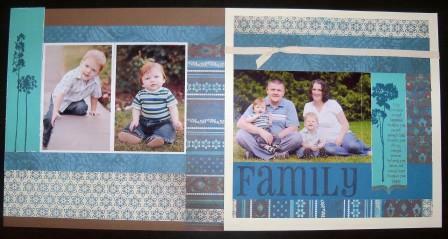 Adhere Mat onto cardstock band. 1. )Score & fold 2 ” x 2.5″ piece of dark cardstock to make a 1″x2-1/2″ folded placecard. 2. )Stamp or write on place card label. Adhere to place card. Featured Colors: Sunset, Barn Red, Colonial White, Olive. Looking for a easy yet adorable Thanksgiving centerpiece? These paper strip pumpkins can be made in just minutes with scraps of leftover scrapbooking paper. Make one large pumpkin or two small ones from a single 12″x12″ piece of paper or cardstock. Cluster them in different sizes around the room to create a festive theme. 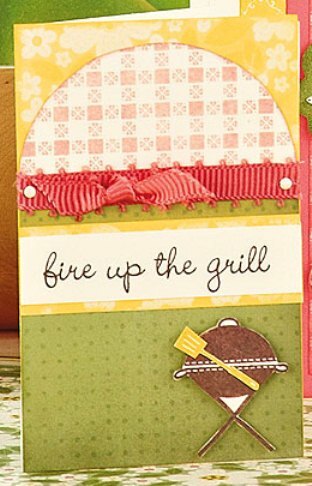 Add subtle texture and a variety of colors with tissue stamping. Use ordinary tissues to ink your stamps for a beautiful watercolored effect. 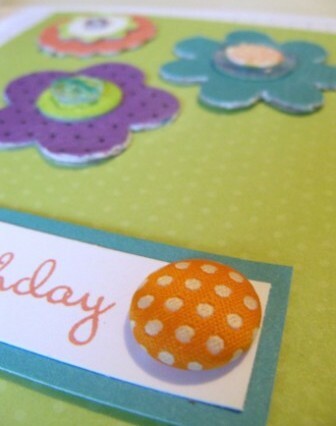 Also in this video, learn about using Flip Flaps to create layouts, cards, mini albums, and home décor, and learn how to cluster embellishments and move or resize them in Studio J.
Chipboard dimensional elements are wonderfully versatile. 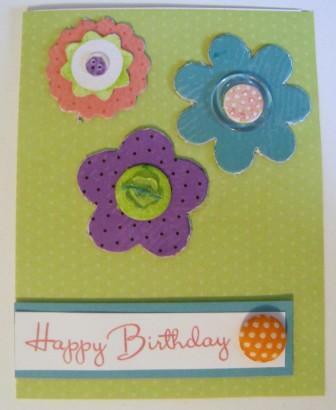 For this card, we covered dimensional elements flowers with paper, and also stamped & sponged some of them (center circles) to create a coordinated look. To cover with paper, first trace the shape onto the back of your paper. 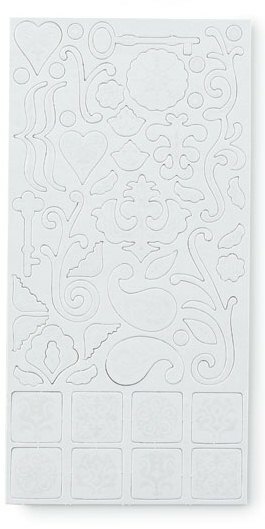 Cut out the design with scissors, and adhere it to the chipboard shape. Next, use sand paper or finishing files to sand any edges of the paper down to mold them to the sides of the chipboard. To stamp or sponge chipboard elements, remember that the ink will appear darker on chipboard than on paper. So choose a lighter shade, or stamp off on a scratch paper, and then onto the chipboard to get a second generation lighter shade from the same ink pad. 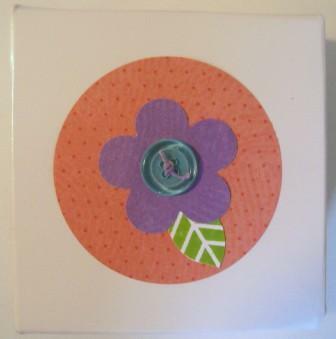 Here is the matching gift box that coordinated with the card.